Flo's Favorite (Literary) Female Spies! I was super excited to get my hands on this book as soon as I heard about it, because I really do enjoy a good girl spy story. "Like which ones, Flo?" you ask. Well, let me tell you! 1. Cammie, Bex, Liz, and Macy from the Gallagher Girls series by Ally Carter: Oh, I love these girls! This is a fabulous series that I completely binged and enjoyed every minute of it. These four girls go to the Gallagher Academy for Exceptional Young Women, which is a fancy way to say 'spy school.' I really enjoyed how real to the teenage experience this story was. The girls were taking down bad guys and running for their lives at points, but they also had crushes on boys and the usual high school drama. I highly recommend this series. 2. Harriet the Spy by Louise Fitzhugh: Throwback! My first experience with a female spy was Harriet. I may not remember all the details of the story, but I definitely remember reading it as a little girl and loving it. 3. Nancy Drew by Carolyn Keene. 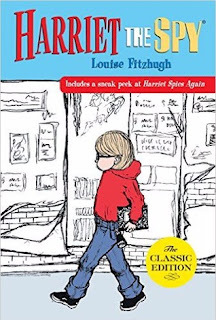 From Harriet to Nancy Drew! If Harriet was for the little girl me, Nancy was for the preteen. I had to include this stylish 80s cover, because these are what the versions I read looked like. 4. 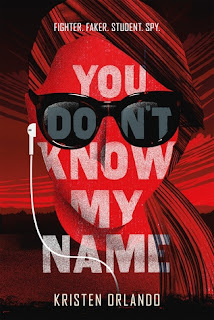 You Don't Know My Name by Kristen Orlando: I simply adored this book. Reagan is kickass as a spy, but also as a friend and a daughter. I really hope to see more of The Black Angel Chronicles. 5. And two more Worth Mentioning: I have also recently read a little bit of the Gail Carringer Finishing School series, and The Cruelty by Scott Bergstrom is about a female spy-in-training, if you will. I think that's all for me! LitReactor has a good little list of YA books with kickass female spies. But who are some of your favorite literary lady spies? Let me know in the comments! "Had paper scraps with personal information about nobles"